Four years ago, the NRA rated Larry Hogan as an "A-." An NRA spokesman said the NRA will not endorse him this election as it did during his successful 2014 run for governor. BALTIMORE (AP) — The National Rifle Association has downgraded Maryland Gov. Larry Hogan’s ranking and is refusing to endorse him. 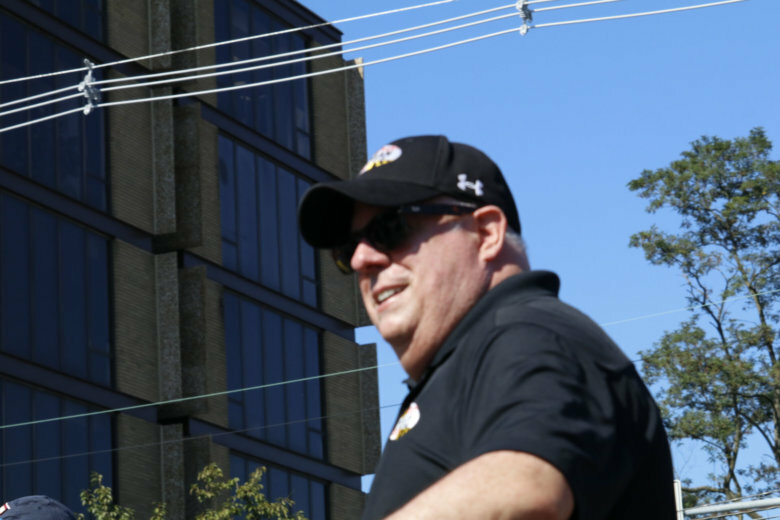 The Baltimore Sun reports that NRA spokeswoman Jennifer Baker said Saturday that the organization now rates Hogan a “C” on protecting the rights of gun owners. Four years ago, the NRA rated Hogan as an “A-.” Baker said the NRA will not endorse Hogan this election as it did during his successful 2014 run for governor. Hogan’s campaign spokesman said the governor supports the Second Amendment rights of gun owners, but wants to make it more difficult for criminals and the mentally ill to get access to them.